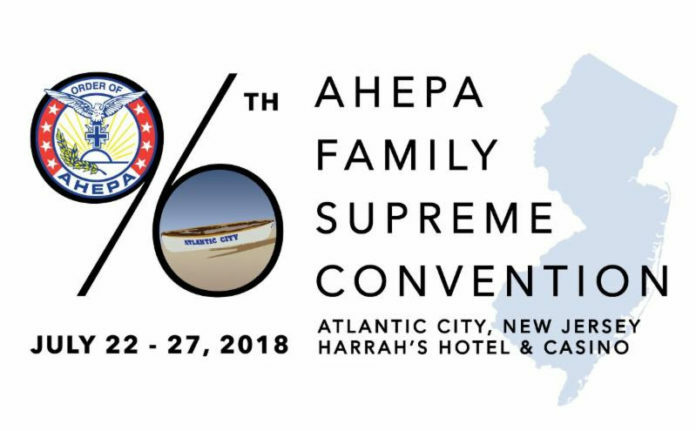 The 96th Annual AHEPA Family Supreme Convention is right around the corner and it’s going to be great! Our room block for the convention is completely SOLD OUT! We are very happy to report that the rooms at Harrah’s Atlantic City resort have been sold out to our AHEPA family and guests. We’ve met with the hotel and are working to make sure that all our guest are well taken care of. By now, you should have a good idea of all the wonderful events we have planned for the week! AHEPA has gone to every extreme to bring you a week jammed packed with events for AHEPA family members of all ages! Join us and be a part of the first ever AHEPA Supreme Convention in Atlantic City! private party on the beach at the Bungalow Beach House. Special wristbands will be available from AHEPA HQ to those over 21 on site in order to gain access to this AHEPA only event! Admission is free for those with wristbands. Hor’s dourves will be available from 7-9PM and a Greek DJ will be spinning until 5AM! At 12PM, join the us in the Avalon Ballroom for a presentation on the AHEPA Service Dogs for Warriors Program and show your support for our Veterans! AHEPA’s Greek Night Extravaganza takes place Tuesday Night at 8PM! 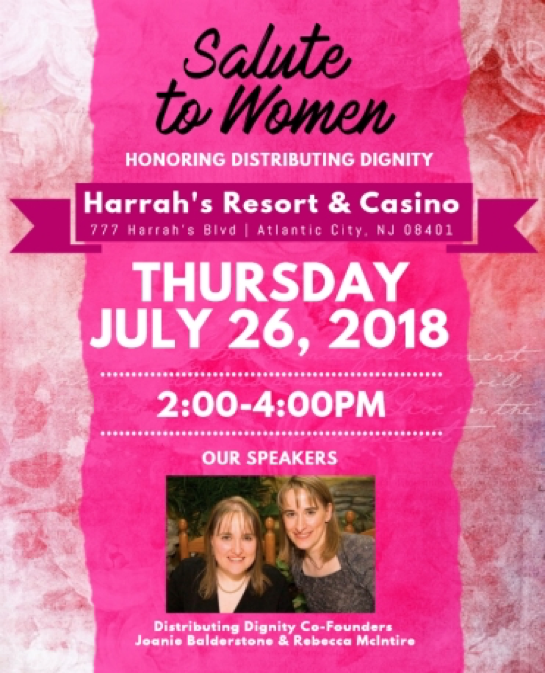 AHEPA has exclusive use of Harrah’s entire pool nightclub for this event. Hot Greek band SEIZMOS will be performing live and there will be food available for you to recharge with! Those Sons and Maids and other AHEPA family members under 21 will be able to party on the Pool Terrace with food and drink! Tickets are included in your packages, but guests who did not purchase packages will be able to pay $75 at the door to get in! It’s poker time! 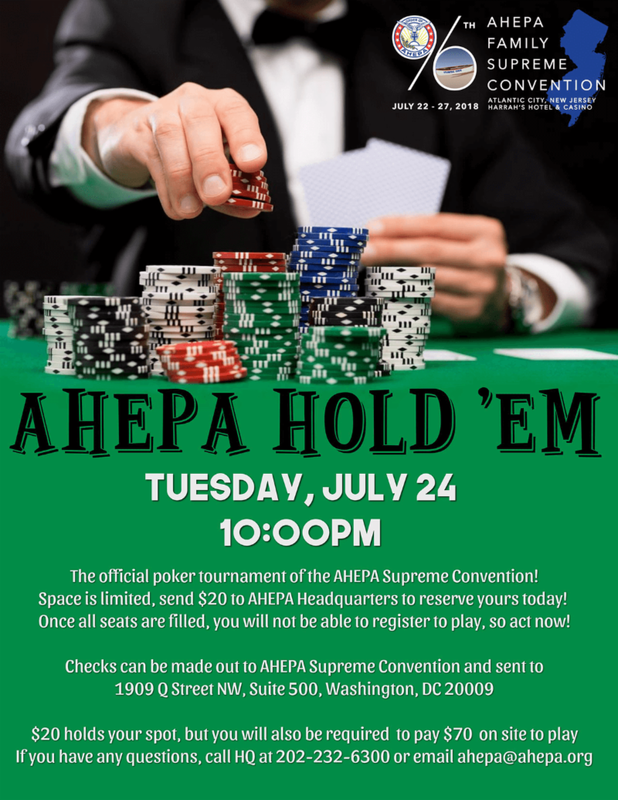 At 10PM you’ll have the chance to win CASH Prizes in the AHEPA Poker Tournament! $20 reserves your spot, and you’ll pay $70 on site in order to claim it. Want to play? Space is limited, so email [email protected] as soon as possible to make sure you don’t miss your chance! Still want to party? Join the Sons of Pericles and Maids of Athena on the Terrace for an after hours party after the Greek Night Extravaganza! On Wednesday, July 25th, the Beach Volleyball Tournament continues at 9am. 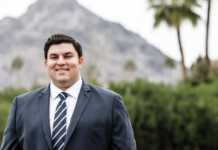 Delegates, Alternates, and Guests who have purchased a package are welcome to join the AHEPA Family in celebrating some of the best and brightest scholar athletes at the AHEPA Family Athletic Awards Luncheon at 12:30PM. 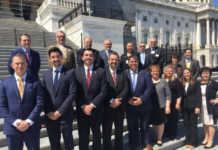 Follow that up with a 4P M presentation by the AHEPA Hellenic Cultural Commission on Turkish Aggression in the Eastern Mediterranean with special guest speakers Ambassador Karolos Gadis, Professor Marcus Templar, and Professor Alexander Kitroeff. 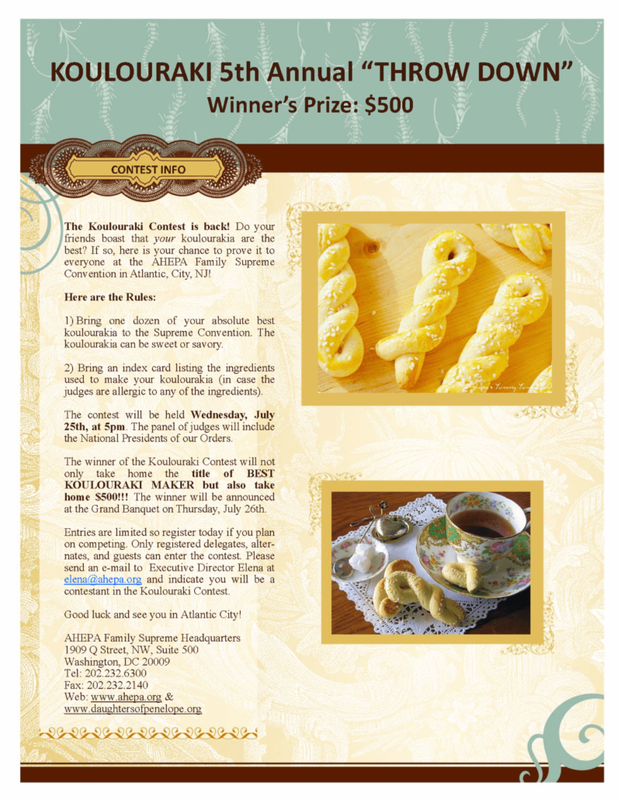 At 5PM, the 5th annual Koulouraki Throwdown takes place! Come pit your best koulouraki recipe against those of your brothers and sisters! The winner will take home $500! Contact DOP Executive Director Elena Saviolakis at [email protected] in order to register! 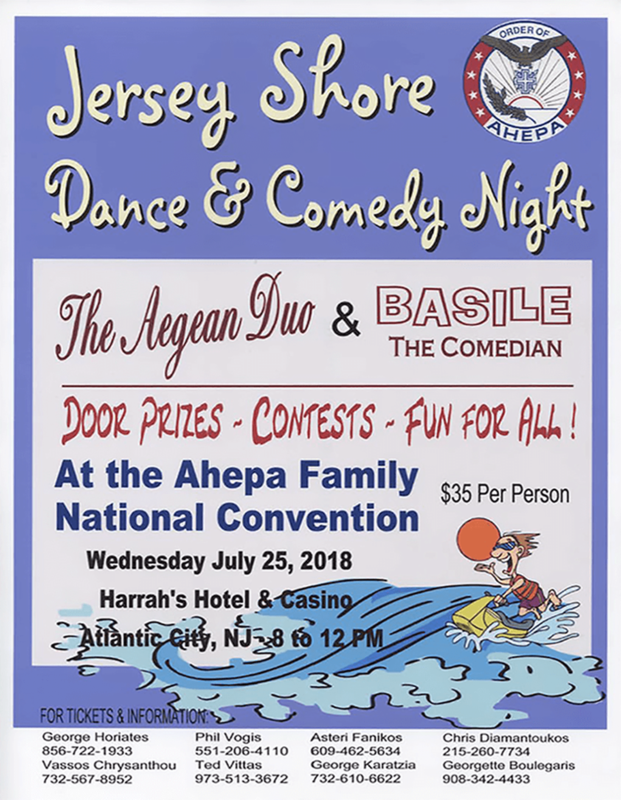 Wednesday night, our host committee presents the Jersey Shore Dance and Comedy Night starring the Aegean Duo & Basile the Comedian! Tickets are $35 per person and can be purchased by contacting Phil Vogis (551) 206-4110; Vassos Chrysanthou (732) 567-8952; or Chris Diamantoukos (215) 260-7734. 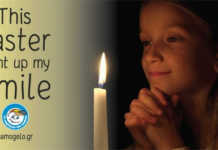 Up late? The Sons of Pericles and Maids of Athena will be hosting another after hours party on the terrace! It’s time for some basketball! 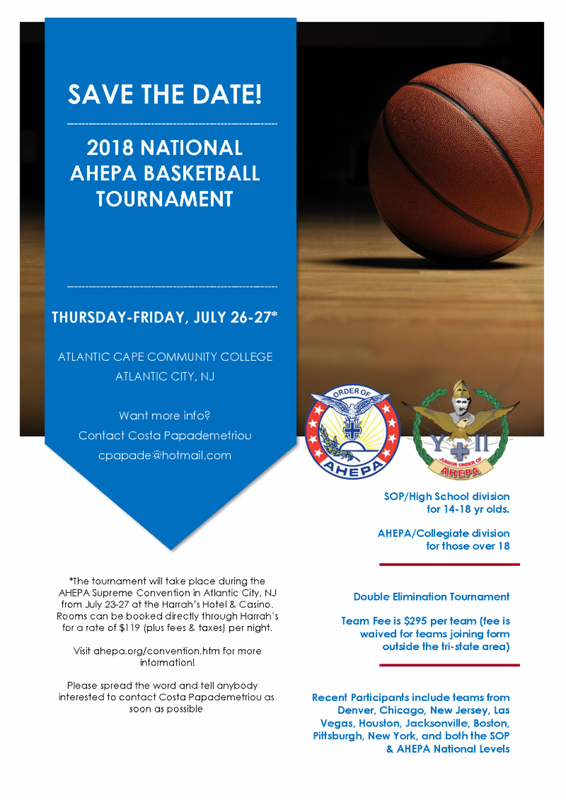 The 2018 National AHEPA Basketball Tournament will take place starting at 8AM on Thursday, July 26th! The double elimination tournament will be played at the Atlantic Cape Community College. Team Fees will be $295 per team (fee will be waived for those teams traveling from out of town to play). The final rounds of the AHEPA Volleyball Tournamentwill be played starting at 9AM to conclude the tournament. 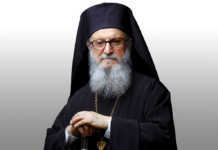 At 10AM, the International AHEPA Hellenic History Tournament Begins with the Championship Round slated to start at 2PM. At 7PM, Join us at the AHEPA Grand Banquet to honor a year in service as well as local legends Demosthenes Vasiliou and Spiros Spireas. The fun doesn’t stop there! 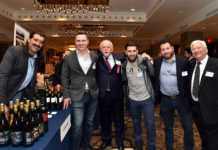 AHEPA brings back t he Grand Ball starting at 10PM in the Banquet Hall, and after that, the SOP & MOA host another After Hours Party on the Terrace! We can’t wait to see you! Please make sure you RSVP to the events you plan on attending by contacting the people listed above!